Many dog owners generally think of clipping as only a mechanical activity. Few understand that clipping a dog is an art. Clipping a coat or nail needs to be carried out in a careful manner to avoid the injuries to the skin or nail. Clipping of the coat is to be taken care of as per the breed characteristics. If the coat is not properly clipped, this may lead to the dust accumulation in the coat and the animal may start showing signs of skin diseases. This is true especially when the grooming activities are not done in a proper manner. Clipping of coat helps to get rid of the parasitic burden to a greater extent and also, the clipping of your dog is of more use to expose on the type of parasitic problem that the dog is likely to suffer. Many pet health parlors are available wherein the clipping of dog will be carried out in a more systematic manner. Always make use of a sharp clipper and in the winter regions, avoid the close clipping. This is due to the fact that the closer clipping in the winter seasons may expose the dog to the environmental stresses like the cold climate. Hence, the dog may become more vulnerable to the frostbite. Avoid the close clipping of coat or nail because this may cause injury to the underlying tissues and may cause bleeding in the concerned animal. Many pet owners need to avoid any clipping activity when the animal is not in health status. Clipping instruments are available to a greater extent in many pet shops. Avoid the blunt instruments because they may not clip well and hence, repetition is required often. Always use modern equipment for clipping activities. Despite the savings to your schedule and wallet, you may still feel that the hassle of learning grooming instructions outweighs the benefits. Grooming your furry friend takes a lot of time and patience, preparation, and commitment. Without these, you cannot survive to take the responsibilities of an owner. Just a couple of minutes every day may increase the bond between you and your pet as well as improve its overall health. 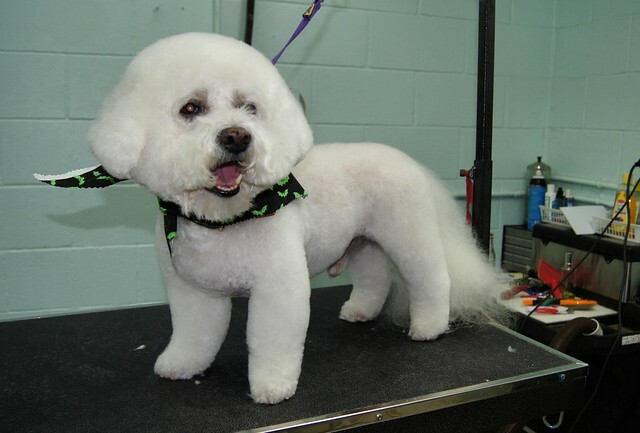 Also, it is better to consider organic dog grooming in Miami. There are many natural ways of grooming. All dogs can benefit from regular bathing. However, the same with dog food, a lot of shampoos also contain harmful ingredients. It is vital to choose the safest and effective shampoo products that cannot dry their skin as well as their hair. You should check if there are ingredients mixed in any product such as surfactants, insecticides, artificial fragrances, and foaming. It is better to use herbs like citrus oil and organic compounds. This way, you will be able to protect them from skin irritation. Apart from bathing, another thing to consider is to keep their ears clean as it can lessen itching and even bacterial and yeast ears infections. Thus, before choosing a product, it is vital to check the label of your shampoo to avoid those products containing harmful chemicals that could irritate them. Try using ear cleaners and washers that only contain organic oils and avoid those products with alcohol. 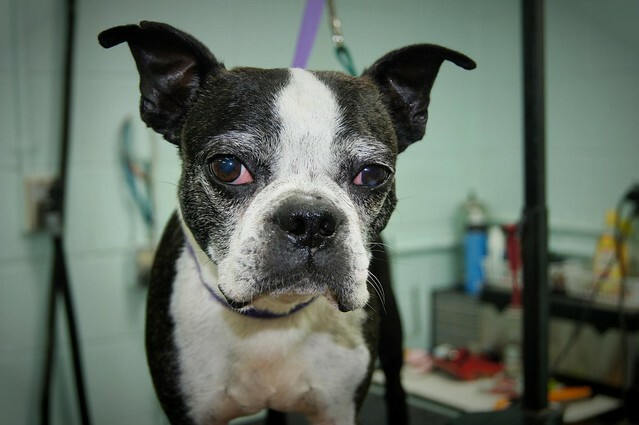 Dental disease is a common disease of many dogs and other animals. Thus, a regular brushing is helpful to reduce the frequency of cleanings that could only be performed under anesthesia. A product that is put on toothbrush should not contain harmful chemicals. You should also avoid using human dental products as it contains artificial components which are toxic to them. With just a bit of research, you can easily find high quality organic and natural grooming products that are safe enough and effective. Basically, groomers seem to be getting more expensive as time flies and for owners who need high maintenance for their dogs, they have to drive to the groomer, drive back and pay for the service. It is quite a time consuming and expensive as well. You only have to consider the things that should be done to save more money and time. You may consider doing it by your own and use organic products. There are some dogs that are not wagging their tails especially if they are traveling far places to their groomers. So, if you would reduce this activity to them and learn the process of proper grooming, then it will also worth your time and effort. Grooming your pet at home will likely to become a source of bond for both of you. It allows you to spend more time and obedience training with them. Even if you decide to continue using a professional groomer from Miami, FL, you still need to groom them from time to time. Remember, cleanliness means healthiness. Once you have gathered information about this undertaking, then it would be easier for you to perform it. This way, you can build a relationship with them while maintaining their health. Through this, you will be able to obtain the results you are aiming for. When you are looking for information about organic dog grooming in Miami, you can pay a visit to the web pages online here today. Details are available at http://www.tenderpetgrooming.com now. A house without a pet just isn't complete. 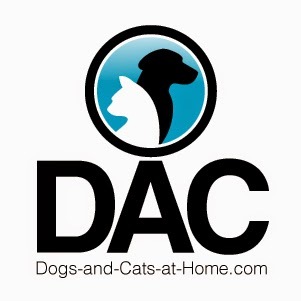 Whether the ideal animal companion is a cat or dog, proper pet grooming is essential. Purebred or mutt, exotic or domestic, eventually that same constant sidekick will need to be bathed. The responsible pet owner will now need to determine if it is time to bring in the pet grooming professionals or to attempt this project under their own discretion. If the house pet happens to be a cat, many individuals feel that bathing is an unnecessary undertaking. True, a cat will commonly clean themselves to the best of their ability, however environmental and household conditions can determine the need for a full bath. Store-brand cat litter can often hold odor more discerningly than that of premium quality. This litter box odor eventually begins to permeate the general smell of the family pet. Upon noticing this condition, the cat owner will need to "freshen" the feline. This can be best achieved by pouring baking soda under lukewarm running water into a large sink or washtub. Once the baking soda has dissolved, carefully grasp two of the cat's paws in one hand, while doing the same with the other paws. Slowly lower the feline into the waiting water. The owner must take care in their own demeanor and remain calm and soothing during this process. Most cats will not take kindly to this treatment, especially if it is a new pet grooming experience, and some may holler about the indignity of the situation. Contrary to the cat's belief, the experience should not be too upsetting and fortunately, upon becoming dry, most cats will eventually forgive their offending owner. If, however, the cat has been exposed to other items such as grease, or tree sap, the owner will need to perform a full bath complete with mild shampoo. If kitty has not had the experience of the "freshening" or other assisted bathing, this may be the time to contact a pet grooming expert as their facilities are better equipped to accommodate the angry and easily antagonized feline. The family dog will also need bathing, although on a more regular basis than the feline family members. A small dog may be cleaned easily in the kitchen sink as the spray attachment is a perfect tool for rinsing. Thoroughly wet the animal's coat, and apply a liberal amount of mild pet shampoo. Quality shampoos are available in many discount stores and a full-line pet store can provide additional choices for specific problems such as fleas, ticks, or dry skin problems. After lathering the coat, it is essential to remove all residue of the shampoo. The animal must be rinsed with clean water numerous times to ensure that no soap is left on the skin. A longer haired animal might now benefit from the use of a conditioner. The use of this product will leave the coat silky, shiny, and smelling pleasant, in addition, conditioner provides another avenue for insuring that all shampoo residues has been removed. After bathing, the pet owner will find that brushing will be must easier when facilitated with this product. If the pet is of the short or wire-haired variety, the owner will find that a final rinse with a mixture of one-half gallon of water with two tablespoons of cider vinegar will effectively remove any residual soap and give the coat a healthy glow. If bathing is part of your pet grooming regime, be confident with your skills or call a pet grooming expert. 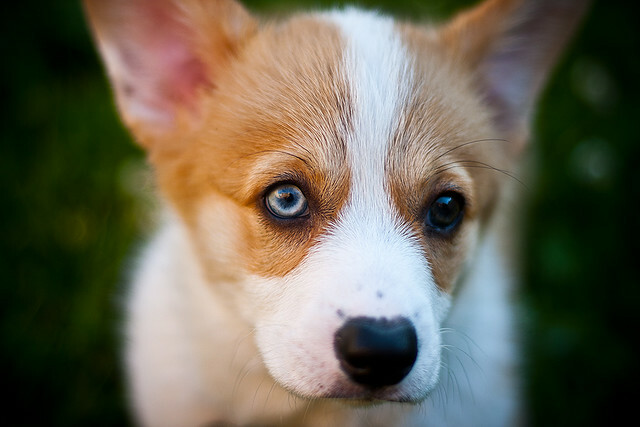 Another mistake in novice pet grooming is getting shampoo or other chemicals in your pet's eye. Either from your mistake or from the animal's head movement soap can splash. This unintentional act will sting your pet's eyes and lead to an unpleasant pet grooming experience. Wash the soap out with water or saline solution and dab the corners of the eye with a sterile cloth. Sooth you animal and try to take the focus off their eyes and maybe gain their attention by showing them a favorite toy or ball. Hold the toy up so the pet can see it. Move the toy back and forth. As your pet tracks the toy, look into their eyes for signs of irritation. Buying a hypoallergenic dog may help reduce allergic reactions to dog hair and dander, but these dogs require special attention because of their hair. Most of these breeds have short coats that resemble human hair rather than traditional fur. As a result, these dogs shed as much as humans, which means they require regular haircuts just like human beings do. Grooming is an essential part of taking care of a hypoallergenic dog. If you do not have the time to schedule regular appointments or the money to pay for three of four groomings a year, then you may have to buy another breed of dog. While there are tools that you can use to groom your dog, if you do not feel comfortable or if your dog gets angry when you try to groom them, then you will have to find a professional groomer that will trim your dog’s hair. Groomers can be found in the phone book, online, or at chain pet stores. Choosing a groomer is not difficult, but sometimes finding one that does a good job can be. The first time your dog visits a groomer, tell them how much hair to trim. When you bring the dog home, inspect the hair to see that the cut is even, that there are no cuts on the dog’s skin, and that it was cut to your specifications. If the groomer did not do their job, then you should find a new one. But if the dog was happy being with groomer and they did what you asked, then you should continue visiting them. Groomers can also trim the hair on your dog’s face and clip their nails. In between groomings, you will have to brush your dog so that the hair does not clump or become matted to their skin. This can cause a lot of health issues and could cause the dog to be uncomfortable. A good grooming brush should not cost too much and your groomer can recommend the right style for your dog. Always brush in the direction of the hair and not against it as this will cause matting to occur. Your dog should enjoy the way the brush feels. You can brush your dog at any time as long as they are comfortable. It will only take a few minutes to properly brush your dog. Matted hair can be difficult to untangle and you may need to bathe your dog in order to loosen the knots. Do not pull too hard or your dog will get unset. 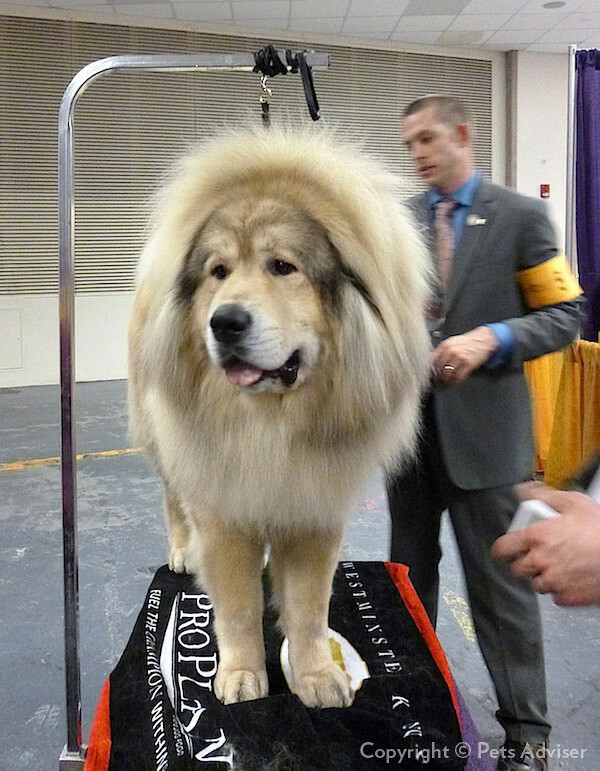 If the matted piece will not untangle, you should wait until the next grooming for it to be cut out. If knots persist, then you may need to brush your dog more often or have its hair cut even shorter. Grooming and brushing are two ways that pet owners can show love toward their pets. Hypoallergenic dogs are special because more people can tolerate being around them. In return, it is your job to make sure their coat is always healthy. Many dog owner's loathe to trim their pet's toenails. Why? Because the puppy dislikes the entire operation and makes it nearly impossible. Nail clipping doesn't need to become a major battle of wills or a struggling match. The most essential part of trimming is getting your dog used to having a person play with his paws. A good thing to do is get your puppy used to getting his paws played with. As frequently as you can simply touch and manipulate his paws. Reward him with a snack and lots of encouragement when you try this. 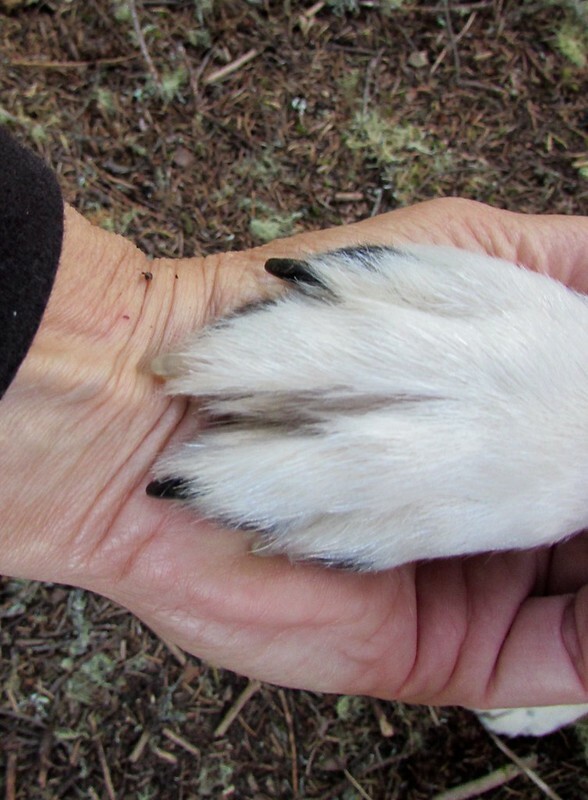 If you own an older dog who dislikes getting his nails clipped, go back to this step and get him familiar with having you feel his feet in a pleasurable way. As soon as your pet is comfortable with having you touch his feet you can look at cutting. To help make the task easier, have all your gear completely ready before you start. Get your trimmers or scissors available and be certain to own some kind of clotting agent. A styptic pencil is quite useful. Mishaps can happen, so it is important to be ready. If you do cut the dog don't panic, generally the bleeding will stop without treatment in a short time. Exactly how short can you cut? Dog's have no feeling in their toenails, clipping does not hurt. What may hurt the pet is if you cut the quick. If your pet has light coloured toenails it is much simpler to view the quick. This region is at the base of the toe nail and extends out into the nail. This section of the nail can bleed if you cut your pet's nails too short and can easily hurt the pet. If your family dog possesses dark toenails and you can not view the quick just take the very end off. You're better off cutting more regularly then cutting the animal. There are a lot of great clippers that you can buy at nearly every animal supply shop. The main thing is to make sure that they are sharp. What a lot of puppies are usually objecting to when they start squirming during cutting is not the trimming but the pressure that you are applying to their nail and paw. You can significantly minimize this if your trimmers are sharpened. Many people choose to utilize animal trimmers which have a special guard on them. This keeps the nail from sliding too deep into the clipper. When does one clip? Many dog's will need to have their toenails clipped around every 2 to 3 weeks. This number will change depending upon what kind of surface your pet walks upon. Dog's that spend most of their time in the house will need to have their toenails clipped more often than a puppy that does lots of strolling on concrete or other rough surfaces. If you are really not comfortable with clipping your pet's nails you could have it done professionally. You could possibly even request to watch the groomer and then determine exactly how they go about cutting the toenails. You might also get the aid of another person to help you handle your puppy particularly if you are new to trimming.